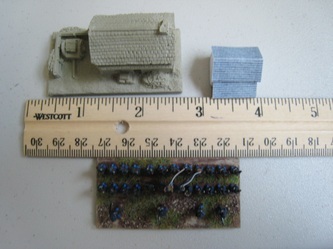 You need to populate any 6mm battlefield with buildings. Sometimes these are just farmsteads and outposts, but occasionally you'll need a Gettysburg or a Sharpsburg, where your table requires a small town. 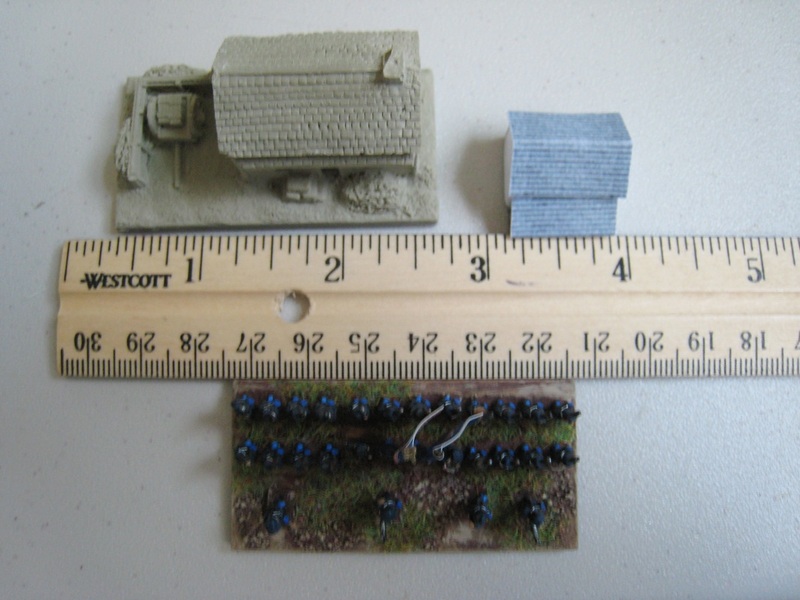 In 6mm grand tactical games, where one base represents an entire brigade, using actual 6mm buildings looks ridiculous. They are simply too large. I don't want two or three of these monster buildings to represent an entire town--I want lots of little structures to capture the epic, sweeping feel! In my Altar of Freedom battles we use 3mm paper buildings, custom designed for the American Civil War. I humbly suggest you download them, because they're free, easy to make, and look great at this scale. Did I mention you can download them fore FREE? 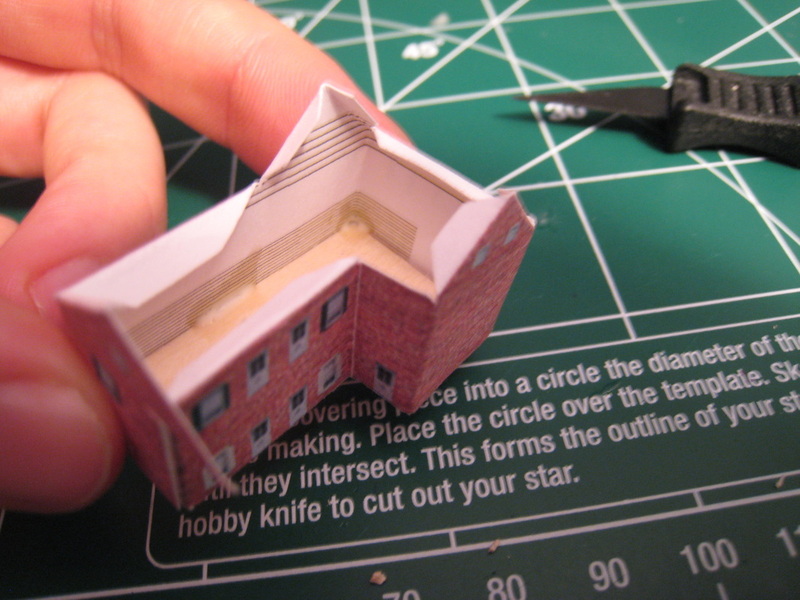 Our buildings come with a page of assembly instructions for craft-challenged individuals, but creating a paper model is as easy as cutting, folding, and gluing the little box together. The house shown to the right (the Henry Culp House) is a bit more involved, since it includes two roof sections. But even so, you can make a dozen 3mm buildings in under one hour, with only scissors and white craft glue. 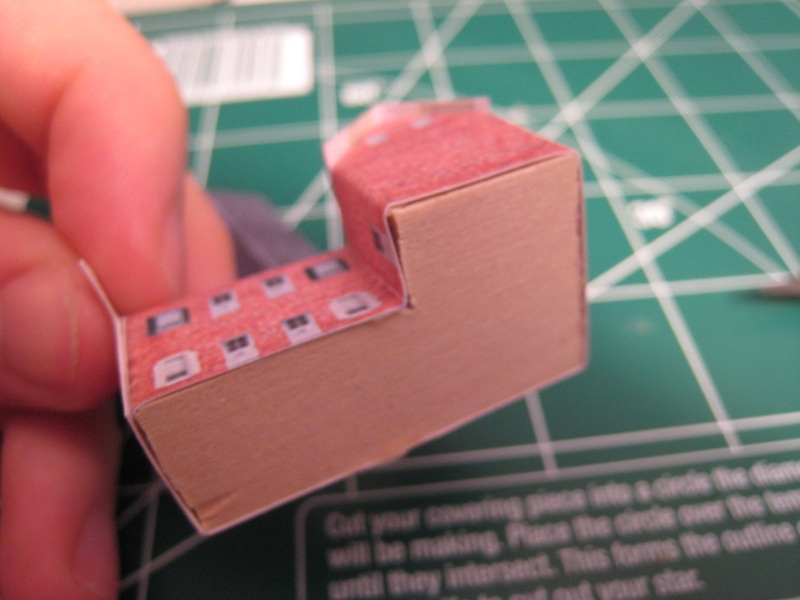 Because these are paper, I like to reinforce the base of my houses with some balsa, trimmed to fit after assembly. At this small scale, paper buildings are very durable. Details like columns and chimneys can be added with toothpicks and balsa wood. 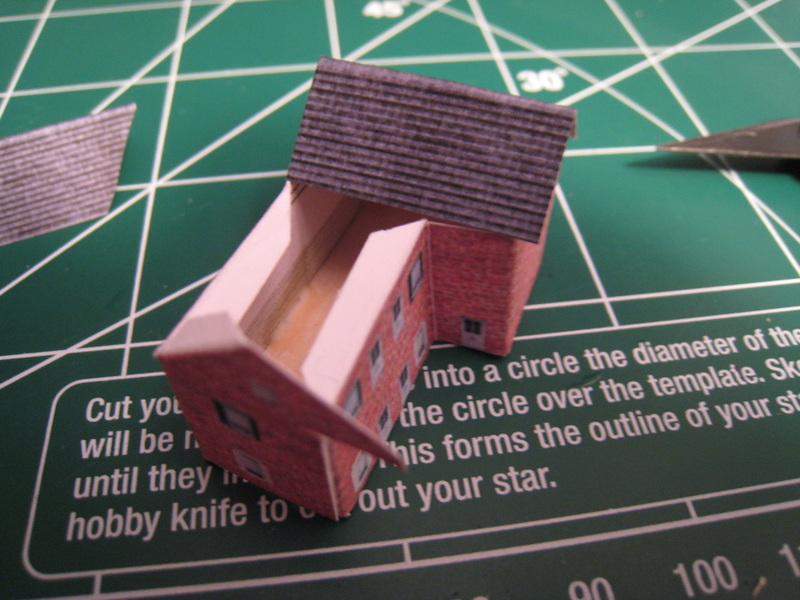 Once you download one of our PDFs, just print out a few copies and start mixing and matching different roof pieces to multiply the number of buildings in your 3mm town. 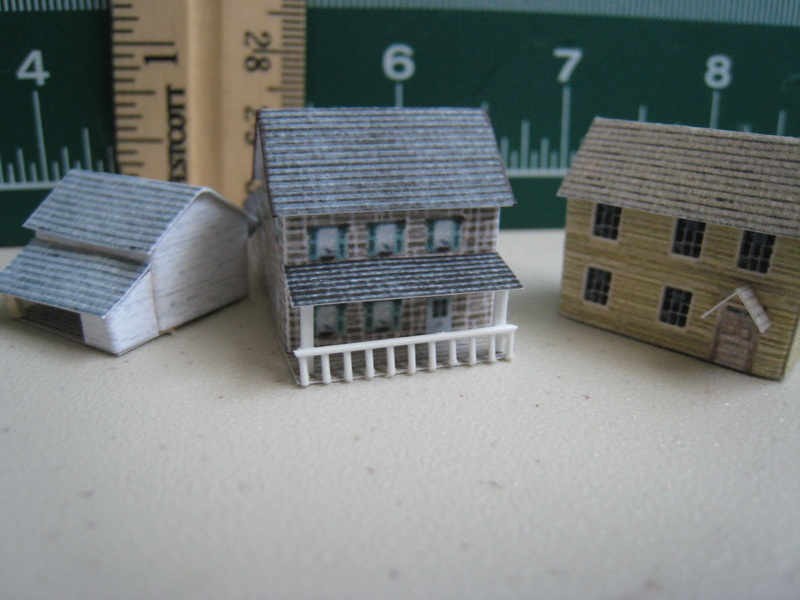 And remember--all of our 3mm buildings are replicas of actual landmarks from the American Civil War! 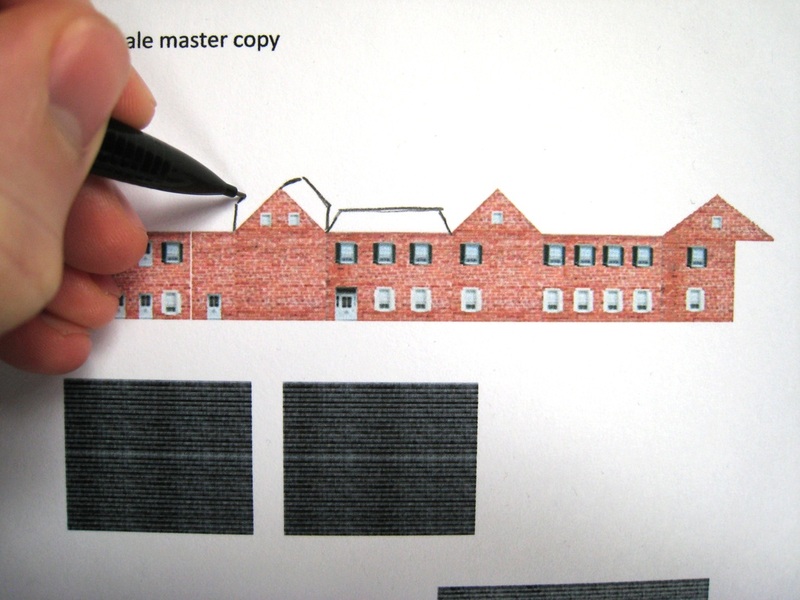 To the right, you can compare a historic photograph of Lee & Gordon's Mills with our 3mm paper model. So what are you waiting for--visit our Free Downloads page and start building!